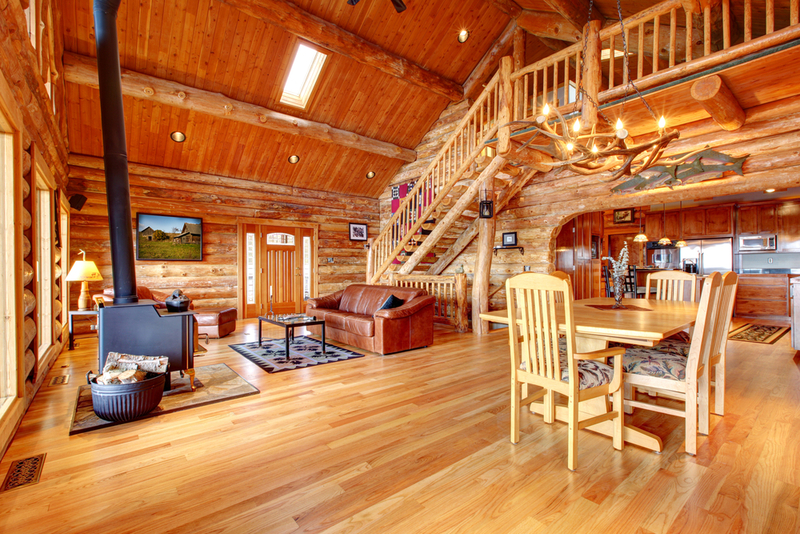 Is Double Wood Interior Design In or Out of Fashion? I like the approach of today’s guest post which looks at double wood interior design and asks, is it the double denim of the interior world? Enjoy! A complete wood interior has dipped in and out of fashion, quite literally for thousands of years. While interior design may not have been what the Vikings where thinking of when they flipped their longboats upside down and made them into long halls, it certainly is a trend that has stuck around. In the past couple of years, nautical themes have been a popular style for bedrooms, which use a combination of light and dark woods to create a natural looking, deck-like aesthetic. Are these styles still in fashion? It’s the double denim of the interior design world, and there’s always going to be ebbs and flows in the popularity of this, but to get a conclusive answer we need to look at the different aspects of the style, to see if it’s any good and whether double wood interiors are here to stay or merely driftwood. Cost is going to be the main factor for most people looking at renovating their home. Wood flooring and furniture may seem expensive, and in some cases it can be, but generally there are cheap options that still leave you with a good quality product. This is a big contrast to carpet flooring, if you think of cheap carpet floors you can often imagine the thin, short-lived carpets found in civil service buildings and school classrooms. Any upgrade in quality can be a big price jump compared to those in wooden floors. Solid wood flooring products are actually incredibly good value for money, especially when decking out larger rooms and business areas. Prices on http://www.thesolidwoodflooringcompany.com give a good idea of the variation in cost across different levels of design and quality. The main options are between solid wood flooring and engineered wood flooring, the latter of which being lots of small pieces of wood stuck together, and the former being solid wood panels. The price of wooden furniture can be more expensive to alternatives when buying new items, but that estimation doesn’t consider second hand furniture, which is really in fashion at the moment as it goes in with the rustic and natural-looking design styles. Solid wood floors will generally last a lot longer than carpets, and don’t require as much maintenance at all. This makes them a much better long-term option, hence their popularity in public buildings. In terms of design and whether or not ‘Double Wood’ is going to stay in fashion, there’s no real threat that it won’t. There is always going to be something timeless and natural about wood-based rooms that can give a comprehensive look without having to put much else in them. Next Post Style over Substance: Is your Home Comfortable? I actually enjoy your post. I am really using it and that I adore the way it is discussed by you. Truly amazing and worth the study.